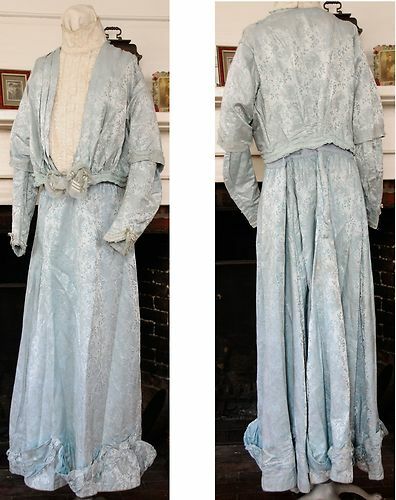 A lovely light blue silk ensemble consisting of a boned bodice and skirt. 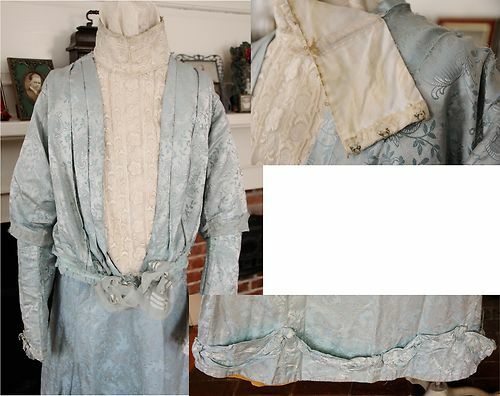 The bodice has the traditional pouter- pigeon front of the early 1900's. It has an inner layer of center hooks & eyes and an outer layer which closes down the side with hooks & eyes. The color of the material is exquisite and the delicate detailing at the wrist is so pretty. There are several problem areas, under both arms, at top of both shoulders and near one elbow the silk is beginning to wear thin (shatter. ) Also there is some brown staining on the inside of the neck piece. 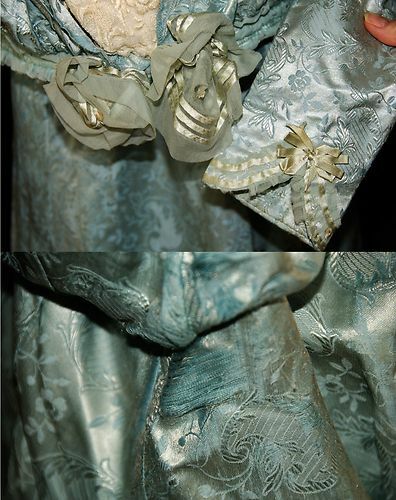 The silk flowers at the waist are also wearing and can be removed if desired. This listing only allowed 4 photos to be posted. If you need additional photos of any area please contact me here. The waist would indicate this is a plus sized dress. 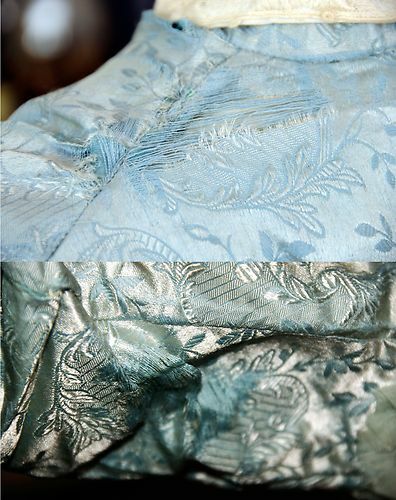 Oh Gawd, the fabric is gorgeous! 1870's Black Coat with Red Buttons! 1890's Bodice and Skirt with Green Stripes!